Dr. Kenneth Gilbert is a lifelong resident of DeKalb. He was inspired to become a dentist following the examples of his father and grandfather who were physicians. Dr. Gilbert enjoys the art and science of dentistry and the constant growth of technology in patient care. He attended the Emory School of Dentistry where he earned his Doctor of Dental Surgery in 1986. Since graduation, Dr. Gilbert has focused his practice on helping patients achieve and maintain optimal oral health. He has achieved his Fellowship in the Academy of General Dentistry and is very close to completing his Mastership. He continues his dental education with the Pankey Dental Institute and the Hinman Dental Society to keep current. Dr. Gilbert is a member of the Hinman Dental Society, American Dental Association, Academy of General Dentistry, as well as the American Academy of Implant Dentistry. Dr. Gilbert currently resides in the Oak Grove area with his son. 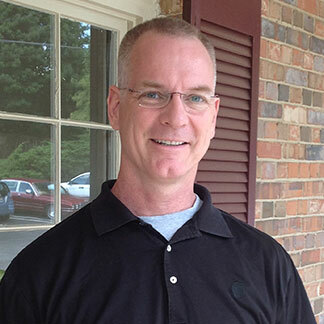 In his free time, Dr. Gilbert enjoys mountain biking, Tae Kwon Do and playing piano.